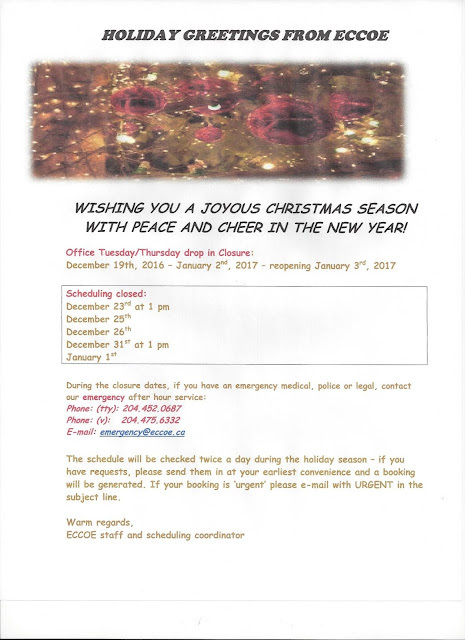 Deaf Resource Centre (DRC) will be closed on Friday December 23rd at 1:30 pm till Monday, January 2nd, 2017. The office will re-open on Tuesday, January 3rd at 9:30 am. ASL Interpreter provided at Munsch Buster at Prairie Theatre Exchange - January 7th, 2017!! Manitoba Deaf-Blind Association Christmas Draw Winner List from December 13th event! Canada Deaf Curling Trials will be held in Edmonton, Alberta on January 19-21, 2017. Funds raised from this event will help cover the expenses to the trip. Friendly reminder- Winter Concert- WED Dec 21st!! FRIENDLY REMINDER ---WEDNESDAY, DECEMBER 21ST!!! 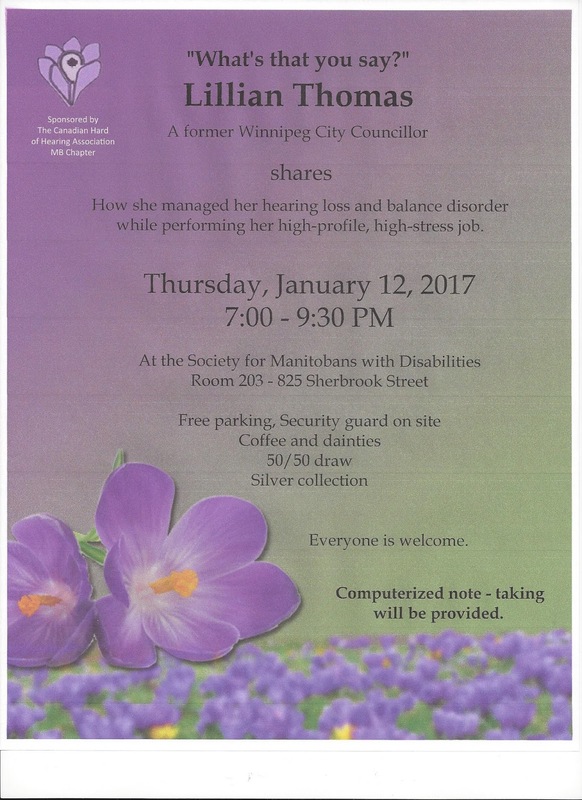 Former Winnipeg City Councillor-Lillian Thomas- Jan 12th!! The Federal Communications Commission last week approved one of the most important advances in communications technology for deaf and hard of hearing people in decades, in one of the agency’s final acts under the leadership of outgoing FCC Chairman Tom Wheeler. In a move that’s being hailed by accessibility advocates and leaders in the deaf and hard of hearing community as a historic step forward, the five-member FCC unanimously adopted rules to facilitate the transition from outdated, analog teletype (TTY) devices to a new, internet-based, real-time text messaging standard (RTT) compatible with the latest smartphones. As a result of the FCC’s action, the nation’s wireless carriers and device manufacturers will be required to support RTT functionality, which allows real-time text messaging—without the need to hit “send”—in which the recipient can instantly see letters, characters and words as they are being typed. “We now have the opportunity—as we design our new communications system that is based on internet-protocol—to finally make our nation’s communications systems accessible to everyone,” FCC Chairman Wheeler said at the agency’s monthly meetinglast Thursday. This innovation will facilitate more natural, conversation-friendly communication for deaf and hard of hearing people—without the need for separate, specialized hardware. It will also allow 911 operators to receive incomplete messages during an emergency, potentially saving lives. RTT technology is expected to be interoperable across wireless networks and devices, creating the potential for unprecedented ease of communication between deaf and hearing people. The origins of TTY devices date back to the 1960s, when Dr. James Marsters, a deaf orthodontist, worked with two colleagues to develop a groundbreaking system that used an acoustic coupler—what we now call a modem—to send audio tones over the phone network that were then converted into readable messages. 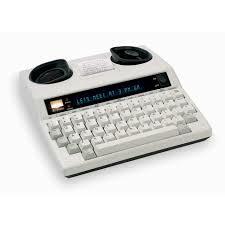 In their earliest form, TTY devices were bulky, slow-operating machines that weighed as much as 200 pounds, and printed messages between the sender and recipient on paper. n later years, Marsters would help advance the development of Telecommunications Relay Services (TRS), which improved phone communication between deaf and hearingpeople with the assistance of a third-party person, known as a “communications assistant” (CA), who translated TTY text messages from the sender into speech for the hearing recipient. During a wide-ranging interview with Motherboard using VRS along with Skype messaging and email, Dr. Christian Vogler, who is Director of Gallaudet University’s Technology Access Program, described the importance of the transition for the deaf and hard of hearing community. By the time Vogler earned his PhD in computer science from the University of Pennsylvania in 2003, he had already stopped using TTY devices in the late-1990s in favor of VRS, for several reasons, he said. First, the TTY devices of that era couldn’t distinguish between uppercase and lowercase letters, nor could they produce important characters like the “@” symbol—a major drawback for an internet-savvy computer scientist. Second, the devices were too time-consuming. They could only transmit 60 words per minute, and only one party to a TTY conversation could send messages at a time, slowing discussions to a crawl. But VRS, while faster and more efficient than TTY, had drawbacks as well, Vogler said. First, he had given up the ability to have direct conversations with businesses, colleagues, friends, and family members who also had TTY devices. With VRS there is always a human intermediary. Second, Vogler had lost the ability to have a directconnection to 911 services, which is something that most hearing people take for granted, but could lead to a life-or-death situation for deaf or hard of hearing people during an emergency. The FCC’s vote establishes a technological standard for RTT services that was spearheaded by a team of developers and advocates for the deaf and hard of hearing community, in conjunction with the nation’s leading telecom providers, including AT&T, which took a leading role in the process, as part of the industry-wide Internet Protocol (IP) transition from traditional telephony to internet-based communication. Over the coming months and years, wireless companies like AT&T and device manufacturers like Samsung are expected to introduce RTT apps for consumers, with the ultimate goal being “native” functionality baked into, and interoperable with, all smartphones and text-messaging apps. Ultimately, RTT technology could prove so popular among all consumers, not just deaf and hard of hearing people, that it could become a new standard for text-messaging services. For FCC Chairman Wheeler, who announced last week that he is stepping down in January, the successful vote advancing the TTY to RTT transition amounts to a poignant and deeply symbolic conclusion to a three-year tenure during which he made communications accessibility a key priority for the nation’s top telecom regulatory agency. In his comments at last Thursday’s meeting, Wheeler used American Sign Language to praise and thank the assembled deaf and hard of hearing advocates who have worked tirelessly to encourage FCC action on this issue. MacLean Magazine- Sign Language possible third official language! OTTAWA – The Liberal government has been quietly looking at the possibility of adding a third official language: Sign language. Raising signing to the level of official language would be a major recognition, given that the use of sign language in Canada was “widely discouraged and even forbidden in classrooms” in the not-too-distant past, federal officials wrote in a briefing note to Disabilities Minister Carla Qualtrough. Earlier this year, officials in Employment and Social Development Canada looked over sign language legislation in New Zealand, Scotland, Finland and Sweden as part of research about how the government could enact a similar federal law here. The details are part of a briefing note The Canadian Press obtained under the Access to Information Act. Such legislation, if enacted, would require federal information and services to be provided in English, French and sign language. In Canada, there are two types of sign language used by people who are medically deaf, hard of hearing, or prefer to sign: American Sign Language and la Langue des Signes Quebecoise. “We know that Canadians with communication barriers and Canadians who are deaf and hard of hearing face these additional hurdles to being included in our society and our workplaces and our communities,” Qualtrough said in response to questions Thursday. Canada ratified a UN convention on the rights of persons with disabilities in 2010. The declaration includes a call for countries to ensure that services can be delivered in sign language and enshrine it in law as an official language. The Liberals are currently consulting on proposals for a wider accessibility law, with the goal of having legislation in place by the end of next year, or early 2018. Qualtrough suggested Thursday that the government is looking to give public officials the ability to proactively crack down on future violators in the public and private sector, crafting a law that would have some teeth. The change would be a shift away from the current Canadian human rights model, which prevents federal officials from getting involved until someone complains. Qualtrough said the current process is onerous, cumbersome and expensive for those who go through it. A proactive law would mirror the model used in the United States. In separate briefing notes to Qualtrough obtained by The Canadian Press, officials wrote that Canada could consider aspects of the American model, including a centralized complaints process, a decentralized enforcement system and a range of enforcement tools, from educational outreach to fines. “What we want to do with our accessibility legislation is proactively address barriers to inclusion faced by Canadians with disabilities and functional limitations,” Qualtrough said. Qualtrough announced Thursday the government was starting the process to enact an optional part of the UN declaration that would allow Canadians with disabilities to file a human rights complaint with the United Nations and let the international body launch investigations into systemic issues in Canada. Joey Landreth The Whiskey Tour-Thursday March 9th, 2017! Please see the link-https://www.facebook.com/events/668104496700283/ as Joey Landreth The Whiskey Tour will be at the West End Cultural Centre for Thursday, March 9th, 2017 from 7-10pm. Interested? 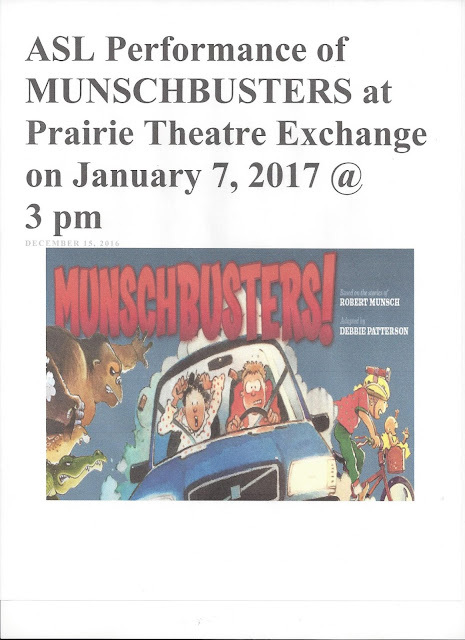 See this link for more information and costs. FREE WEBINAR- What is an accessible Canada to you? 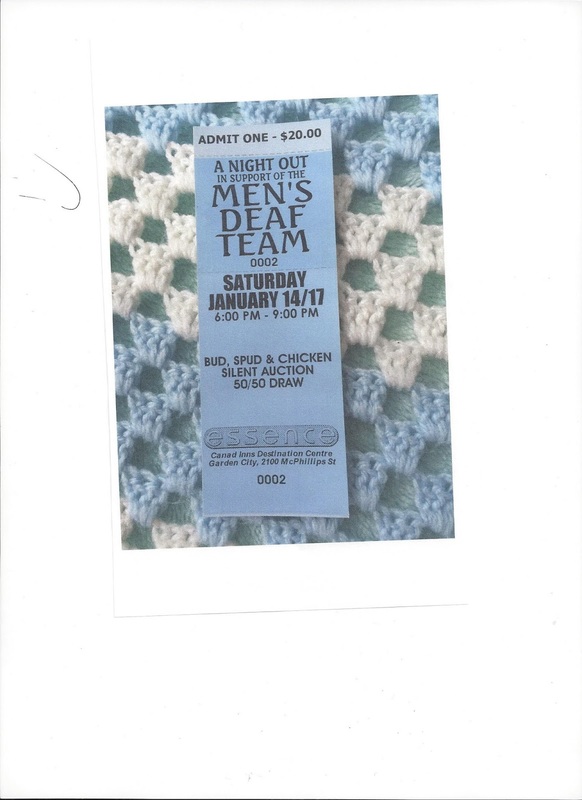 Thursday, Dec 15th!! FREE WEBINAR: Spotlight on Invisible Disabilities! What is an accessible Canada to you? Do you have access to all you need to live your life fully? If you’re interested in discussing how invisible disabilities need to be recognized and understood, join us for this one-hour webinar! The Government of Canada is working on a Federal legislation that aims to create a more inclusive and accessible society for all Canadians. You can have say in legislation by helping CHHA and its 17 partner organizations identify barriers and social challenges facing those with hearing loss, mental health and learning disabilities. This webinar will kick start a series of interactive webinars being hosted in the New Year! Want a free National Park Pass? See the link to apply it!! Want a free National Park Pass... You need to go to the link to apply for free pass. Be advised that the link is very busy so keep trying till you get through to apply it. International Human Rights Day - December 10th! December 10th is International Human Rights Day. The Canadian Museum of Human Rights has free admission and is celebrating the 10th anniversary of the landmark United Nations Convention on the Rights of Persons with Disabilities. CMHR has planned a schedule of programs that highlight people with disabilities featuring performances by 100 Decibels Deaf mime troupe and the All Abilities Dance troupe. The Manitoba League of Persons with Disabilities (MLPD)- Accessibility Program Manager Position available! The Manitoba League of Persons with Disabilities (MLPD) is inviting applications for the Accessibility Program Manager position. MLPD is a seasoned, cross-disabilities organization that promotes equal access to opportunities. The MLPD Accessibility Consulting Services Pilot Program will help organizations develop and implement their accessibility plans and policies as required by the new regulation: Accessibility for Manitobans Act (AMA). This program has a social enterprise approach including fee-for-service activities in support of promoting accessibility for persons living with disabilities and generating revenue for MLPD. As this is a new program she/he will work in collaboration with our Program Coach to develop program resources and processes. This is a one year, full-time, term position (January 2, 2017 - December 31, 2017) which may be renewed dependent on funding. Some off-site, evening and weekend work should be expected. Salary range is $33,000 - $36,000 per year. Application deadline is December 16, 2016. 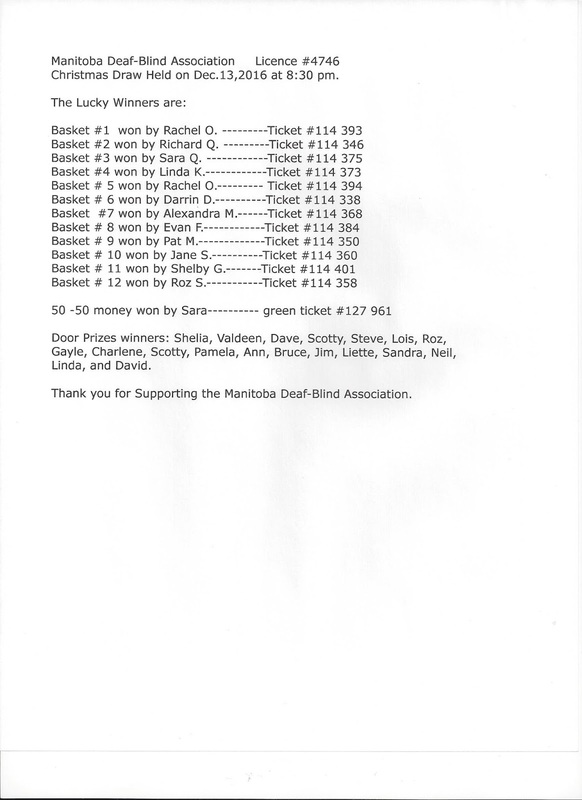 (ECCOE/MALVI), Tania MacNeil ( ECCOE/MALVI), Brenda Rutherford (ECCOE/MALVI) , Janine Gunn (1st Year AEIP Student), Jordan Sangalang (MDA Vice President) and especially Doug Momotiuk (MDA Treasurer/Draw Chairperson) for their help with Christmas Draw last Saturday, Dec 3rd! Total of Christmas prizes- 72!! Holiday message video will be posted soon. 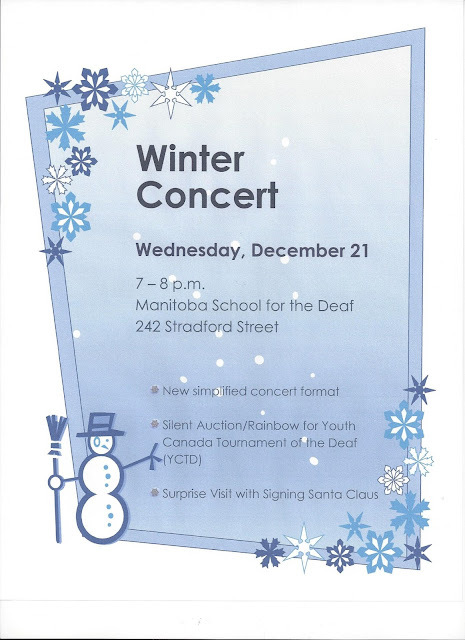 For winners- please go to Deaf Resource Centre office on Monday between 9:30-4 pm & approx 5 -7 pm. After hours, please contact Doug Momotiuk (dougmomotuik at yahoo.com) or Sheila Montney (mdapresident72 at gmail.com) for an arrangement.